There are tons of cricket games on Android and iOs platform and we don’t generally focus until they are actually big in terms of development. However, we came across a game on Android and iOs which is probably one of the most unique of all despite of being one of the smallest cricket game in terms of features or development. 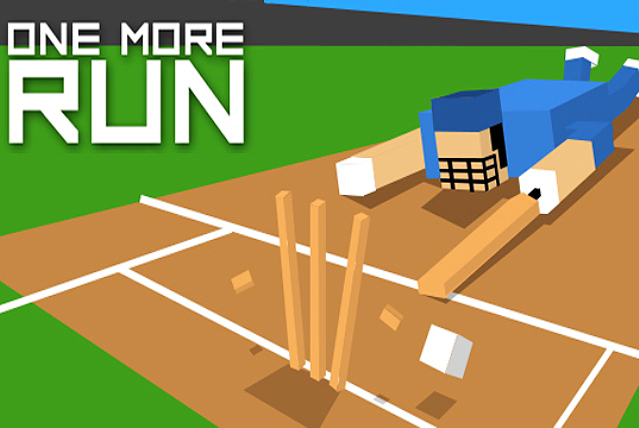 “One More Run” is a cricket game developed by SuperSike Games, a indie game development studio based in New Delhi, India for Android and iOS Platforms. 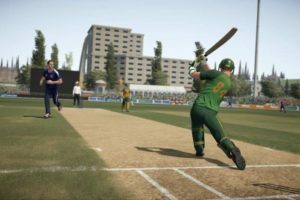 In the past, we have played full fledged cricket games like EA Sports Cricket 07 or Ashes Cricket 2009 and a cricket game like Stick Cricket where you have to chase the target. However, One More Run falls in none of these categories. This is a game which looks like an 8-bit style cricket game just like we had in the past (Brian Lara Cricket or Cricket 64). In this game, neither you can bat nor you can bowl. All you have to do is run between the wickets and all you need is few runs to win. The game begins as a match between a User team and a CPU team. Everything will go normal except for the things you can control. You will be given a target to chase within few balls and with just 1 wicket remaining. The target won’t be a very lengthy one and would be just few runs from few balls. The bowler will deliver the ball and the shots will be played automatically by your team’s batsman. All you have to do is tap on the screen and run between the wickets to score the runs. It all depends on your timing on how you can steal as many singles as possible. If you’ll get run-out, the game will be over. If you are able to achieve the target, you will win the match and will be taken directly to the next match. The challenge is to win as many matches as possible without losing a single match. You will be given rewards between the matches by which you can unlock other teams or special booster like “Dive-in” which gives you special ability to dive when you are near the crease. Although, the teams are just sprites in different colors but the “Dive-in” booster is pretty useful. 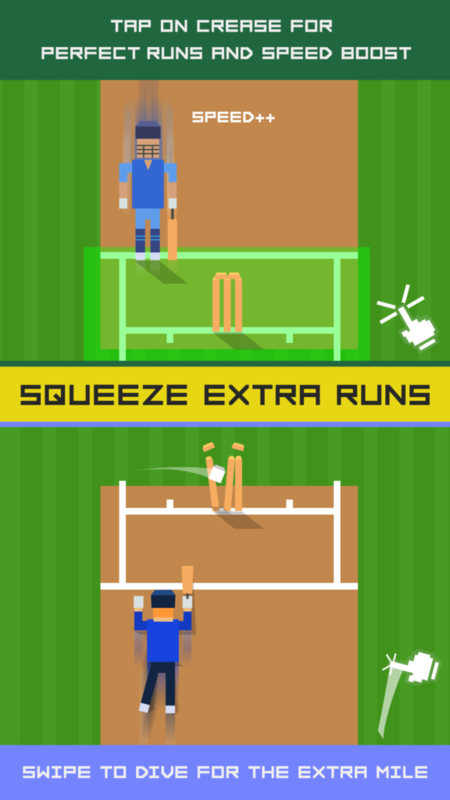 The game is a pretty simply arcade like cricket game for Android and iOs user. However, even though it isn’t supposed to be a full fledged cricket game, we expected few more things in the game. The game lacks the skills system. It would be nice to see different teams have different running skills or the automatic scoring skills as that would also make some sense to unlock the teams. Also, we would expect better rewards for higher winning streaks in the game as these things will definitely add to the longevity of the game. There are few fielding glitches in the game but apart from that, the game is well designed and runs pretty smooth on any Supported version of Android or iOs. 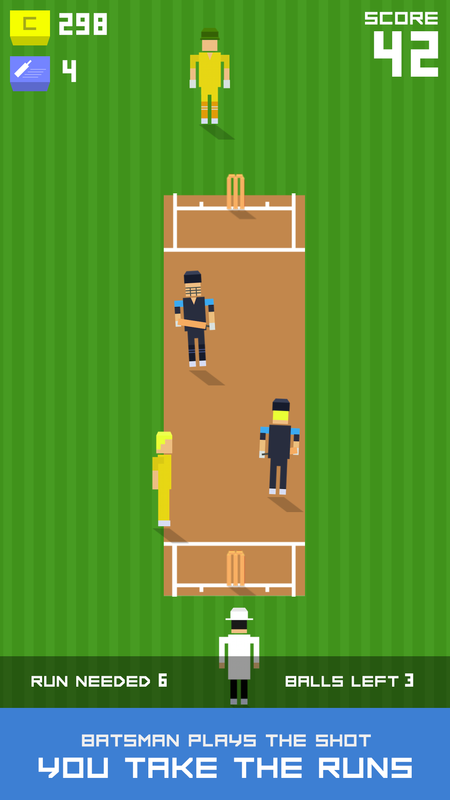 Obviously, we won’t criticize the graphics as it is meant to be an “arcade style cricket game”.